The first thing that came to my mind while I was thinking about writing this blog post on how to trade bitcoin and crypto currencies generally was "why am I just hearing of bitcoin a few months ago"? Years ago, 1 bitcoin was just about N90 naira, can you imagine? But today, 1bitcoin is equal to about N1.45M naira. Bitcoin has become so popular that most multinational companies now accept it as a payment option, eg Micro Soft. Well, it is not too late to start trading Bitcoin bwcause who knows if the value might jump come 2019 due to its popular demand? So would you rather miss out or take this article seriously and follow the easy guide on how you can learn how to invest in bitcoin and other crypto currencies and start making money. Like I told you earlier, the value of Bitcoin keeps jumping, there was a particular point in time bitcoin jumped to N5.5M in exchange against the naira. I am telling you the truth here! Hey folk, I know whats on your mind, I felt same way too, but guess what; I am a bitcoin investor already thats why I am here giving you thid info for free. "Don't let this opportunity pass you by" like 2baba would say, lol. This could be the 1th hour miracle you've been expecting. Now pay attention please. 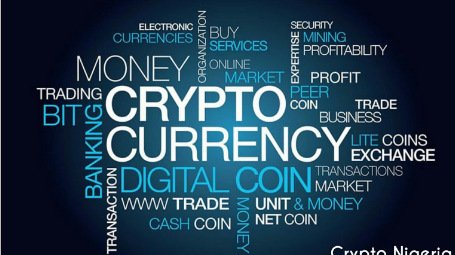 This guide will show you all the tips involved in trading all cryptocurrencies out there. I don't want to break your heart but I think it is already too late to invest in bitcoin but you can still take advantage of the latest crypto currencies that have just emerged. These smaller cryptocurrencies like ethereum, litecoin, dashcoin.. etc are a goldmine and you should take advantage in this early stage. Ethereum is the next fastest growing crypto after bitcoin. It was launched a little after bitcoin was launched. The price of ethereum against the Dollar keeps growing and I must urge you to take advantage of it now. Look, with just 100 dollar you could buy some good amount of Ethereum and who knows in 2019 its value against the dollar can shootup as high as bitcoin currently or even more. Look I am not going to sweet talk you, but if you have even just 20 dollar please go download the Luno app immediately, buy Ethereum in bits, store your Etherium coin and watch it grow. You can even purchase Ethereum from paxful if you have any of the gift cards. Mark my words, a 100 dollar worth of Litecoin might fetch you over a million naira come 2019. Early this year Litecoin was still sold around $4 per coin. It’s worth $300 per coin now! That’s over 100k turn-up within few months, now if you are good at math try and calculate the projection. Litecoin, you can be bought on Luno and Changelly. Dashcoin is among the top notch cryptos, it cost about $900 per coin to purchase. 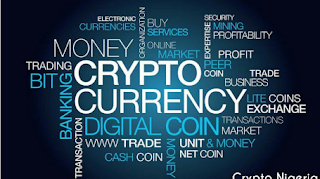 If you are a Nigerian and you want to trade any of the above mentioned cryptocurrencies just pull out your debit card or credit card and visit any of the coins you want to trade via google search. Ensure you do your own research to be double sure.